Scotland should control two-fifths of its own revenues with the power to raise taxes on the rich, according to Scottish Labour. The Scottish Parliament should raise around 40% of its own revenues, around £2bn more than the most recent Scotland Act. The Scotland Act will give Holyrood control over more tax raising powers in exchange for a 10p in the pound cut in the block grant, but Scottish Labour believes this should be extended to 15p - giving Scotland control of three quarters of the basic rate of income tax. However, there will be safeguards to prevent Scotland launching a tax competition with the UK by cutting top rates. 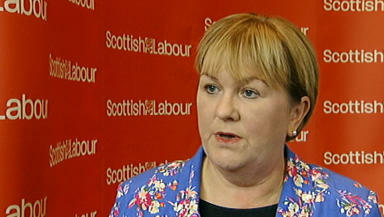 Top rates may only be cut if all rates are cut, Scottish Labour leader Johann Lamont said. Scottish Labour proposes to make the Scottish Parliament indissoluble by Westminster, with control over the administration of its own elections. Welfare and skills should be devolved to local authorities, with Holyrood providing "strategic oversight", housing benefit should be devolved to permit MSPs to abolish "the bedroom tax", and the power of the islands should be extended. And it suggests that Holyrood should have wider powers over the railways in order to create a "not for profit" service. The new tax system would allow Holyrood to raise income and property taxes for the rich without hitting poorer people to avoid the creation of a Scottish "tax haven", Ms Lamont said. Scotland would keep all of its MPs to take decisions on "the big issues" like monetary policy, defence and foreign affairs. She acknowledged that the proposals have caused "an argument" amongst some members, but said Labour is now "committed to these proposals at every level". The Conservative Party are unlikely to back Labour's "progressive vision on taxation", she said, but she urged other parties to continue the spirit of Better Together and find common ground. The Liberal Democrats have published two reports calling for more powers. Former leader Sir Menzies Campbell is trying to build a consensus on devolution amongst the pro-Union parties, while the Lib Dems continue to favour federalism for the Scotland and the rest of the UK. The Scottish Conservatives have tasked party grandee Lord Strathclyde with considering the Tory position on devolution and recommending changes. Prime Minister David Cameron gave his backing to more fiscal powers for Scotland during his speech to the Scottish Tory conference in Edinburgh on Friday. Scottish Labour will "not force an agreement to get past September", she said. Speaking at a press conference in Edinburgh, Ms Lamont said: "A Scottish Government can make the system fairer, reversing Tory tax cuts for the rich. The measures ensure that if the Scottish Government wants to cut tax for the rich, it must cut tax for all. "At the same time, if we wish to make sure that those with the broadest shoulders should bear the greatest burden, you can raise tax for the richest while retaining the same basic rate for all. We intend to reform the property tax system to ensure that the richest pay a fairer share. "I've heard people saying that people will end up fleeing the country because of the tax policies. All of the evidence is that economic growth is limited by higher levels of taxation, but a low tax economy does create greater inequality. My aspiration is that Scotland should not become a tax haven." She added: "In terms of buy-in, the Labour Party at every level is committed to this proposal. Our local government colleagues in particular are excited about the way in which they, as engines of change at a local level, are going to be given more power. Where there is an argument, it is because these are really important issues. "If we wanted to do something easy to get us past September we could have done that six months ago. This is a really serious piece of work, and of course people are exercised by it. If there is an energy and debate about this, it's precisely because we're trying to work out where that balance is and I think we've got the balance completely right." She continued: "I would hazard a guess that the Conservative Party would not necessarily support our progressive vision on taxation. This is our vision for the Scottish Parliament. Separately from that, we have put party interest to one side to come together in the defence of the UK in the belief that Scotland can be stronger and it's possible to work with our partners, friends and neighbours across the UK. "Where we can agree, we shall, we will not turn our faces away from it, and we will not force an agreement in order to get past September because that would be bad faith. I think we can perhaps agree around issues of representation, or whatever." Deputy First Minister Nicola Sturgeon welcomed the Better Together parties' commitment to more powers but said "there is no guarantee that any new powers would be delivered". Scottish Labour's "watered down" devolution proposals are "more about a power struggle within the Labour Party" than about more powers for Scotland, she said. "The threat of a boycott from Labour's hard-line anti-devolutionist MPs, upon whom Ms Lamont would rely to pass the necessary legislation, has won the day," she said. "Labour have also opened the door today for Westminster to slash Scotland's budget in the event of a No vote, through unspecified 'adjustments' to the Barnett Formula. The expectation was that the report would recommend fully devolving income tax and possibly air passenger duty, which was first recommended by the Calman Commission way back in 2009. However, these pledges have all been ditched. "And despite briefing heavily that Scotland is to become more responsible for welfare, one of the areas where Westminster is causing the most damage in Scotland, today's proposals will leave Westminster in control of around 85% of welfare spending in Scotland. The limited tax powers in the 2012 Scotland Act will see 16% of taxes raised in Scotland devolved by 2016. "Where their interim report proposal would have increased this figure to 29%, today's watered-down proposals reduce this to only 20% - in other words, Labour are proposing to devolve only four per cent more than what Scotland is already getting. There are no proposals to create jobs, no proposals to tackle child poverty, and no proposals to grow the economy. "If this report marks the limit of their ambitions for the Scottish Parliament, it says it all about the ambitions of Scottish Labour for the people of Scotland." Ben Thomson, chairman of the Devo Plus campaign which has campaigned for further devolution, described Labour's proposals as "extremely disappointing". He said: "After the progressive ideas contained in the Commission's interim report, the final report is a watered-down compromise which represents nothing more than a tinkering of the tax powers contained in the Scotland Act. "This is a lacklustre effort which is motivated by referendum politics rather than doing what is best for Scotland. 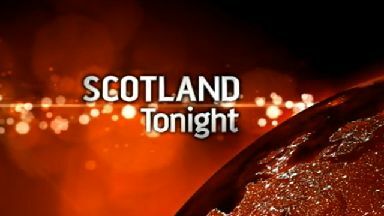 It is designed primarily to combat Yes campaign attacks on the so-called bedroom tax, and to shore up support for the No campaign amongst Labour's core vote. The proposals will do little in the drive to give Scotland a more responsible and accountable Parliament fit for the future." Yes Scotland chief executive Blair Jenkins said: "The Labour leadership's half-hearted and grudging offer of further devolution is a major retreat from what was being proposed in the interim report just a year ago, and a major victory for those at Westminster who, for their own self-interest, are implacably opposed to handing over any more powers to the Scottish Parliament." He urged home rule supporters who had been waiting for Labour's offering to vote Yes to guarantee more powers for Scotland. "Everybody now agrees that change is needed but it is now clearer than ever that the kind of change we really need can be achieved only by voting Yes and putting Scotland's future in Scotland's hands," he said. SNP MSP Bruce Crawford said: "Labour's proposals are inadequate, but there is now a consensus that is good to have tax and welfare powers in Scotland and the only way to get them all is to vote Yes." Scottish Green co-convener Patrick Harvie said: "This effort by Labour is a massive failure to seize the opportunity the referendum presents. Whatever side you're on it's a chance to think big and redefine Scottish self-government. Instead Johann Lamont and her colleagues have chosen to tinker at the edges of a broken system."